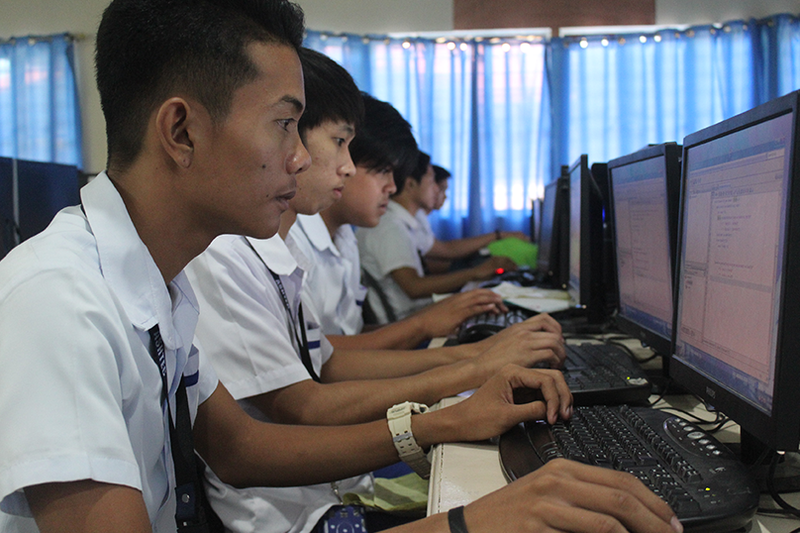 The two–year Information and Communication Technology (ICT) course teaches the students to conceptualize, create and develop computer programs, perform data encoding, desk-top publishing, and basic clerical work. This course also includes computer troubleshooting and network management. Through this curriculum, they are also taught the fundamentals of electricity and electronics for them to learn the essential skills in the maintenance and repair of computers. The school prepares and thoroughly equips its students the necessary skills and knowledge for them to be competitive in the growing IT job market. is a full-packed design development course designed to enhance the knowledge, skills and attitude of a trainee in developing design studies. Graphic design is the process of visual communication, and problem-solving through the use of type, space and image. Qualification consists of competencies that a person must achieve to produce 3D digital animation, multimedia and special effects for film and television/video in both production and post-production stages. This includes Flash which involves creating vector and raster graphics using a graphics application. Certification is provided to those who meets the competency standards. This ensures the productivity, quality and global competitiveness of the middle-level workers. This is a full-packed design development course designed to enhance the knowledge, skills and attitude of a trainee in developing design studies. 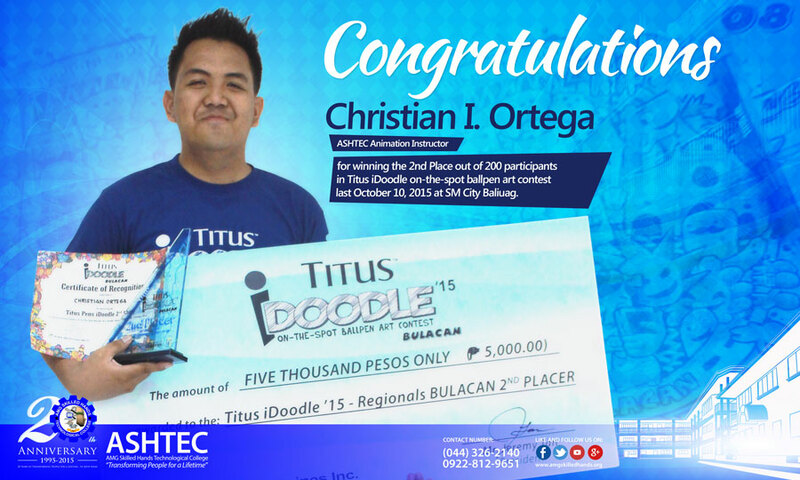 This includes PHOTOSHOP, COREL DRAW which involves creating vector and raster graphics using a graphics application. Moreover, DEVELOPING PRINT MEDIA, DEVELOPING ELECTRONIC MEDIA, DEVELOPING PRODUCT PACKAGING and DESIGNING BOOTH and PRODUCT/WINDOW DISPLAY are also key lessons in this course. 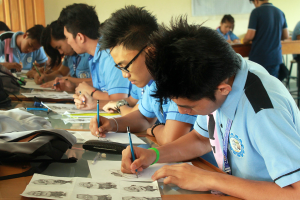 The 2D ANIMATION NC III is a short TESDA course that will train you in producing 2D animation, multimedia, and special effects for film and television. -Producing cleaned-up and in-betweened drawings. The 3D ANIMATION NC III is a short TESDA course in the Philippines that will train you in producing 3D animation and other special effects for movies, TV shows, commercials, music videos, and other similar projects. Empower yourself to better understand the technology behind many of today’s careers. “During my stay in ASHTEC, I won first place in a skills competition in Programming. I achieved 2nd honor during my 1st year on Recognition Day and attained higher grades during my 2nd year in ASHTEC where I was awarded 1st honor on Recognition Day. I graduated with honors – GWA 90 to 91.99% on our Graduation Day and got Skills Excellence in ICT-Major in Programming. All my vices are now gone and I now have a clearer vision in life.